You must use your imagination! A picture can say a thousand words; and an idea can create a world. 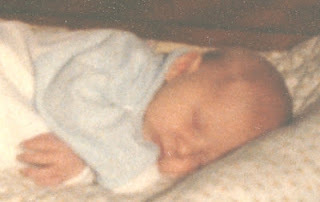 On March 23, 1983, at 7:10am, a beautiful baby girl was born. She had the longest fingers and a firm strong head in perfect form--a strength that would serve her well through her whole life. Amaliya Rose Eischen was born in the Sufi House located at 812 Jenifer Street in Madison, Wisconsin to the parents of Mary Lee Eischen and William Quentin Humphrey. Happy Birthday, dear daughter, dear Amaliya!